The holiday dinner gets an layered and lovely look thanks to feminine antiques, lush displays and special details. 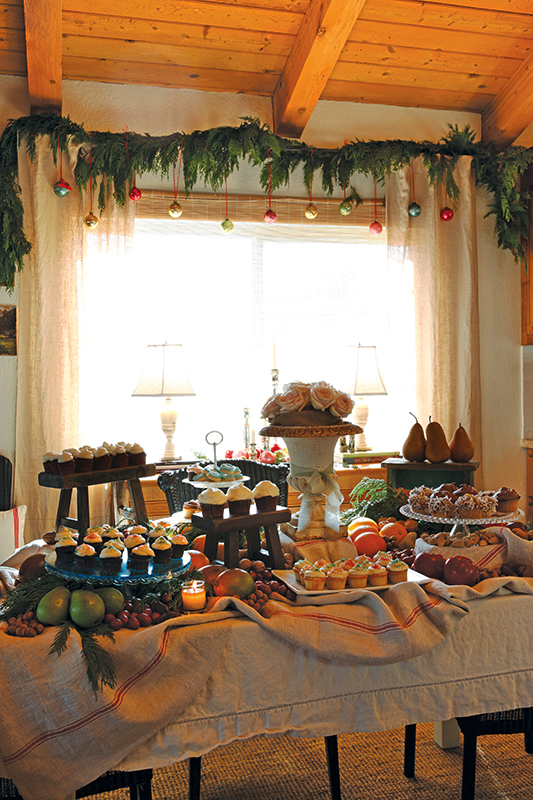 With its grain-sack linens and old world charm, this elegant holiday party table is dressed to impress. But all the fancy wares belie the fact that the look comes together easily. 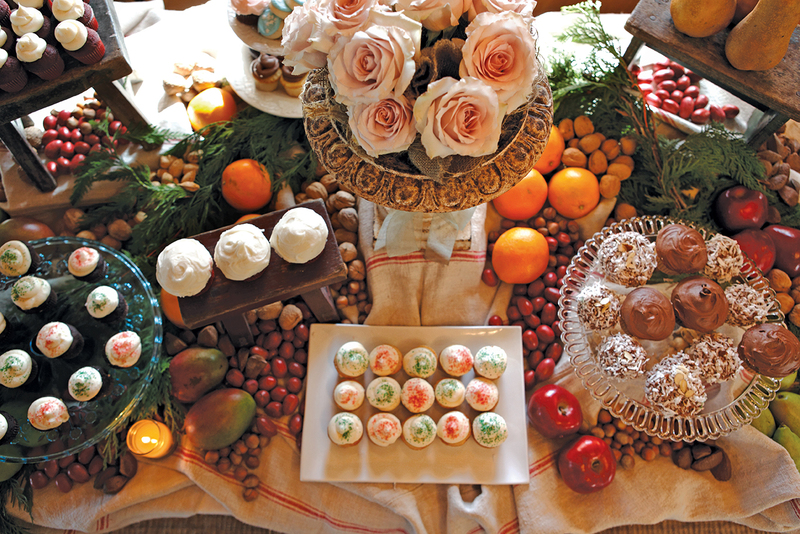 With simple layering, a few standout serving pieces and clever ways to reuse vintage collectibles, you can design a special vintage-european style holiday setting that won’t soon be forgotten. Here are the keys to the look. Fresh & Simple. Pine garland hung over the curtain rod adds instant holiday wow. Reserve a few simple ornaments from the tree to hang from ribbons to give the window an extra festive touch. On the table, an antique iron urn serves as the center pèice de résistance. Outdoor décor like this makes a great addition to the tablescape; it adds height and a wonderful aged patina to the setting. Step it Up. Small vintage tables and stools are buffet-table must-haves. A long table of food looks more dynamic and interesting when the food is displayed at varying heights. 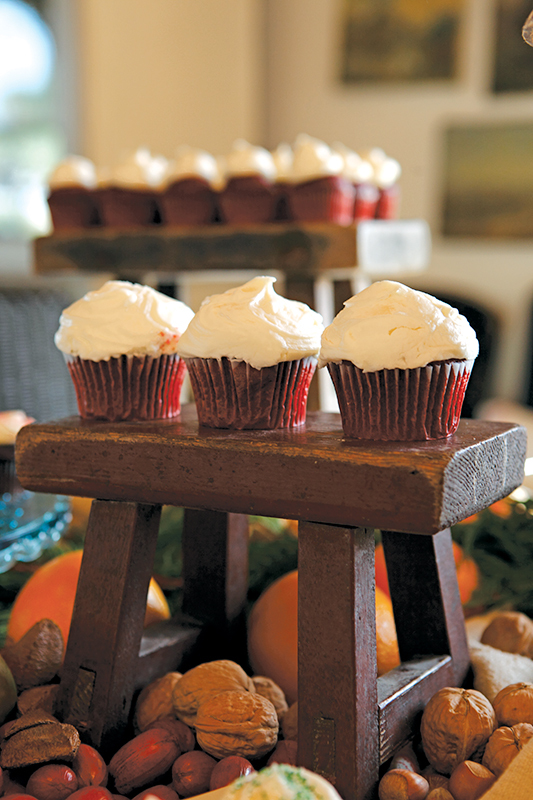 Here, simple antique stools stand in for cake plates to serve up cupcakes and fresh fruit. Lush and Lovely. A few grain-sack linens are displayed across the table over a simple cream tablecloth that adds texture and softness. A sneaky secret? 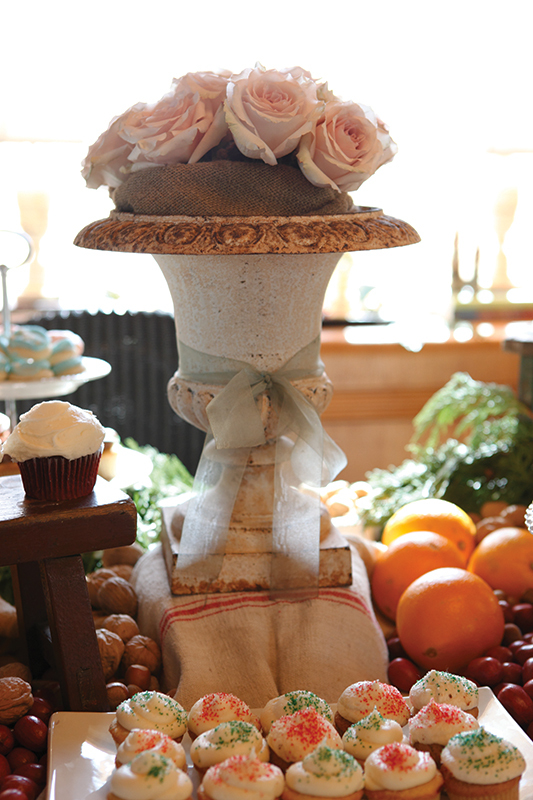 Use small books or trays under the topper to prop up elements of your tablescape for height and drama. Spread the Cheer. Use adjacent areas as spillover zones for more treats. 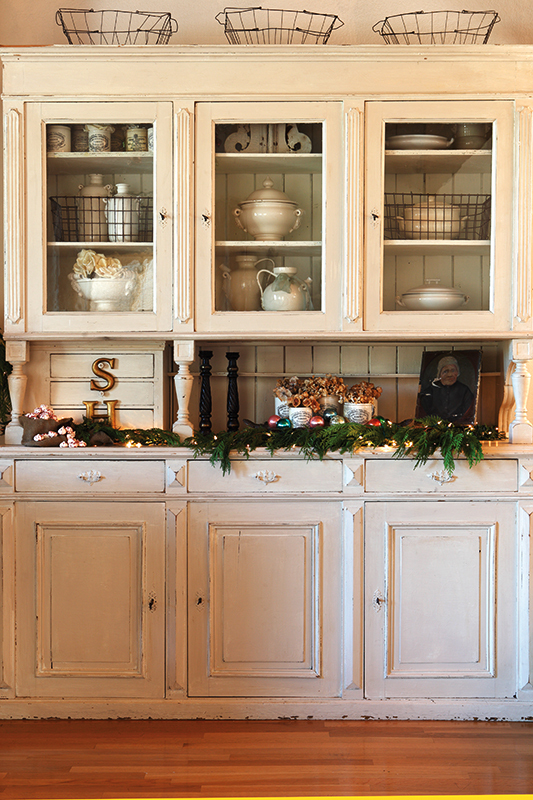 This antique hutch near the dining table is adorned with fresh garland to tie the two spaces together. 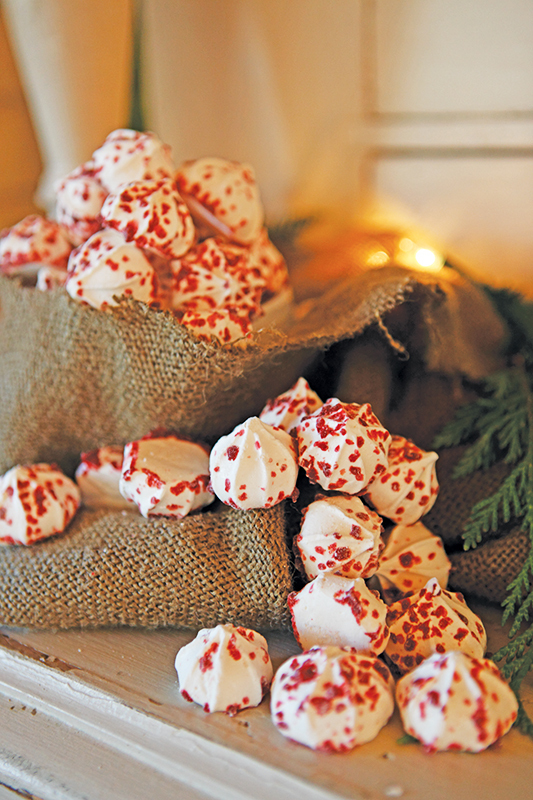 In with the mercury-glass ornaments, old paintings and crockery are more sweet surprises: small meringues are scattered across the burlap runner, edible accents to this holiday setting.